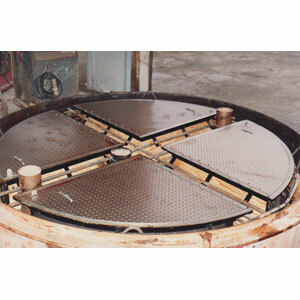 MSU AL hatches are designed to be cast into or bolted onto round concrete structures such as pumping stations or leachate collection structures where water or liquid infiltration is not a concern. 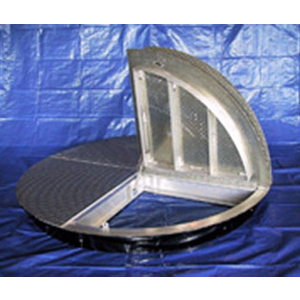 These hatches are a non-watertight choice for areas of pedestrian traffic. 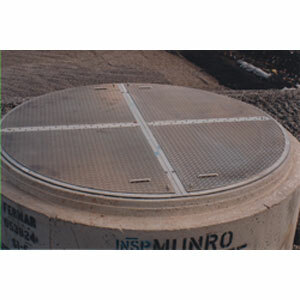 Safety controls are engineered right into all MSU access hatches. MSU AL hatches are manufactured for standard circular precast concrete structures and come in single, double and multi-door units.